Even if you your computer is running as smoothly as ever, it's always a good idea to have a backup copy of important documents, emails, photos, etc. But have you ever thought about backing up your drivers? 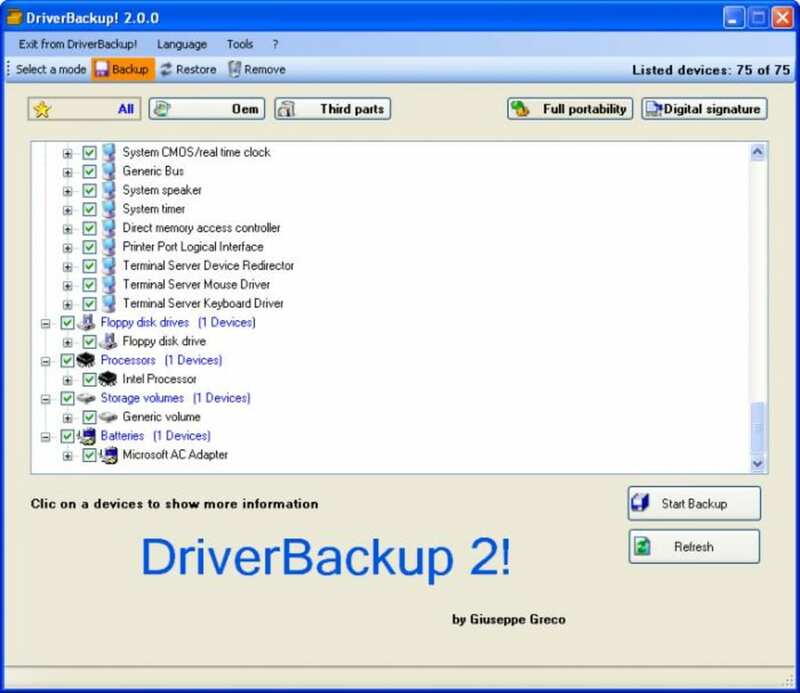 With Driver Backup! you can make a copy of all the drivers currently installed on your system in a snap. Simply unzip the program to a given folder (no installation required) and press on the "Start Backup" button. You can choose to back them all up or select specific drivers, though the latter may take a bit longer as there are no tools to select or deselect drivers massively. Driver Backup! 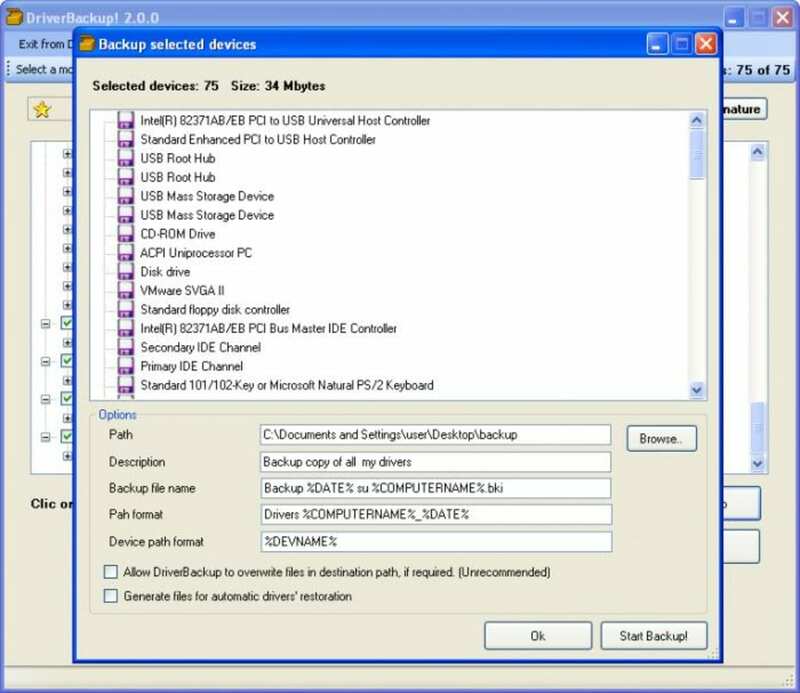 includes filters to create specific lists for OEM drivers or third-party drivers. The program features another tool called command-line builder, but unfortunately it has not been translated from Italian to English yet. Drivers Backup! is not only useful for backups: it also lets you restore the copies you've created previously with the program, as easily as the backup process. 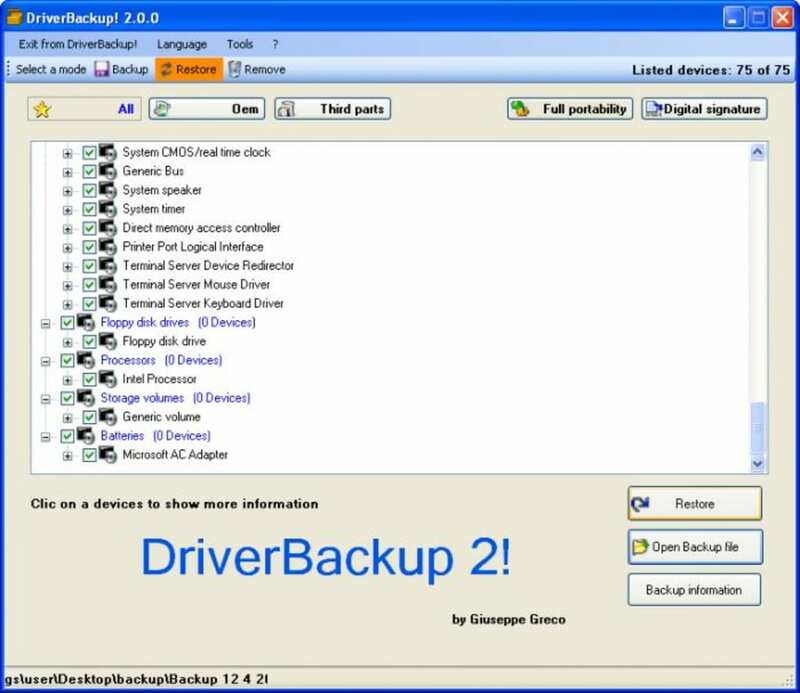 If you ever need to create a backup copy of all the drivers installed on your system, Drivers Backup! is a great choice: simple, efficient and easy to use. No restauró los drivers. Respaldó muy bien los drivers pero el problema fue al momento de volver a instalarlos. En Windows Vista no hubo problema porque el mismo windows tenía la opción de buscar en todas las subcarpetas (el programa no los instaló donde debe ser). 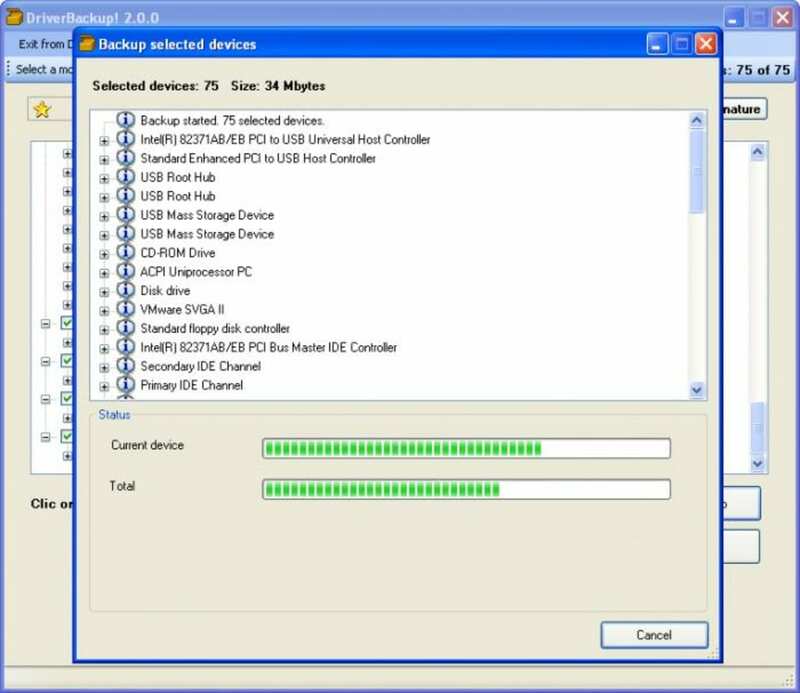 Intenté hacerlo en Windows XP pero no pude (pues no tiene la opción de buscar los drivers en subcarpetas) nisiquiera especificandole la carpeta donde deben ir los drivers. Restaura muy bien y es fácil elegir qué drivers quieres guardar. 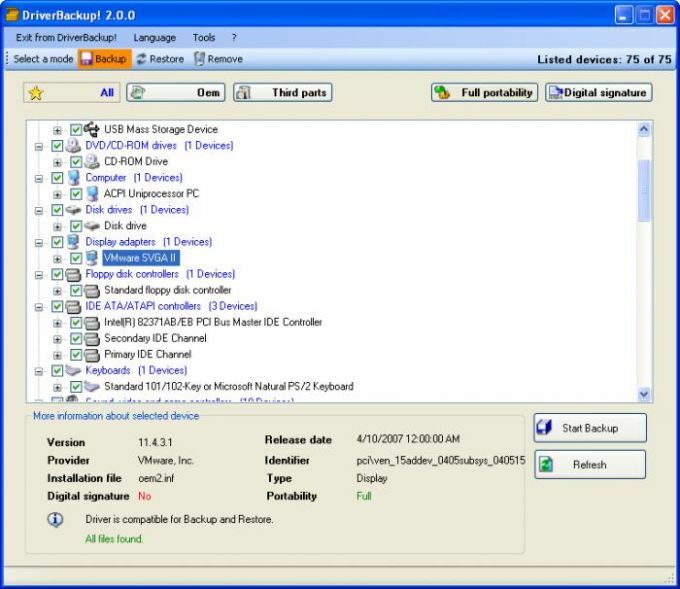 What do you think about DriverBackup!? Do you recommend it? Why? No thanks, continue to download DriverBackup!